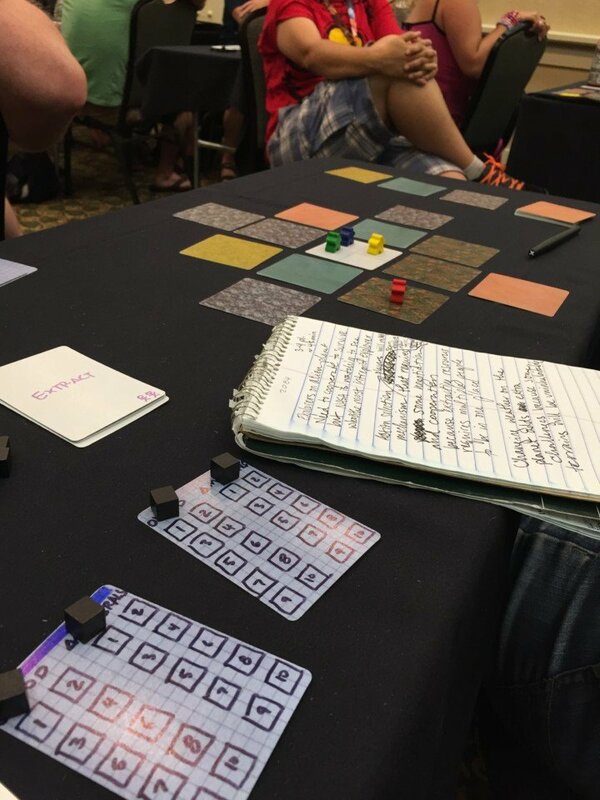 I had the opportunity recently to participate in the annual Gen Con Game Design Showdown. It’s an event where pairs of game designers partner with one another to create a new game. You don’t know what components you have to work with, nor what the theme will be until the competition starts. The components that we were given read like something out of Settlers of Catan with meeples, terrain tiles, colored tokens, and blank playing cards. The theme was fellowship. 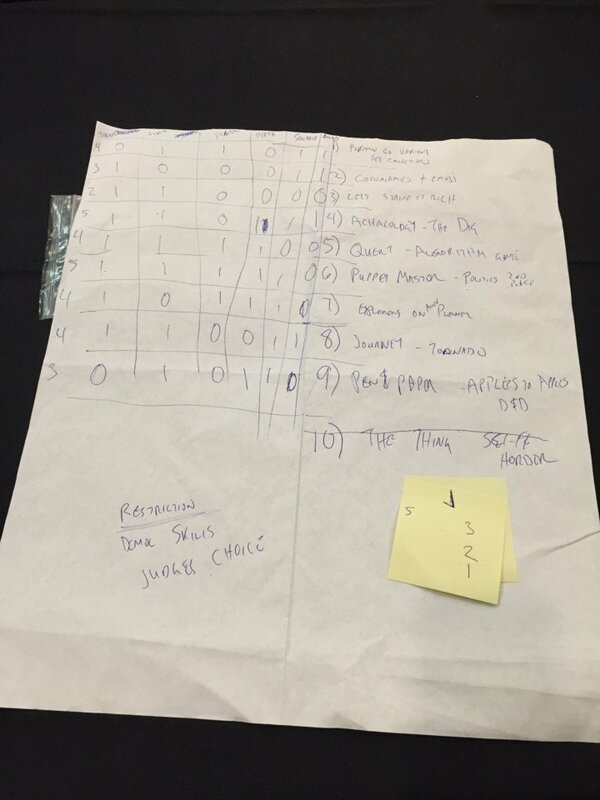 Our game was number seven to present. In the end, the game, my partner and I created was not thematic enough to satisfy the judges, however, our game was considered to be one of the top two strategy games of the 10 created. Additionally, we scored pretty high marks in the eyes of at least one of the judges. It was a satisfying and creative experience that I would definitely recommend to anyone interested in game design. Who knows, the game I designed may even become something more playable in the not too distant future. Have you participated in any event like this? What was your experience?